Carpe Diem Private Preschool in Cedar Park – Austin offers childcare and education programs for infants through kindergarten-aged children. Located in the city of Cedar Park, a suburb just north of Austin, Carpe Diem Private Preschool offers year-round care, making it the perfect school for Austin families. We believe that where a child learns has a direct impact on how well a child learns, which is why we’ve put so much thought into designing the perfect learning environment and atmosphere of our school in Austin. Cedar Park is a vibrant community that lies on the northern border of Austin and lives up to its namesake with 47 City parks and 22 miles of trails. Cedar Park has been ranked twice as the Fourth Fastest-Growing City in the Country and is a hub for high-tech employers. Proud of its ongoing commitment to public safety, Cedar Park has consistently ranked as one of the safest cities in Texas. As a booming suburb, Cedar Park offers a host of family-friendly places and activities. The Texas Museum of Science and Technology is just one of those places, providing families with the opportunity to explore and learn about all things science and space-related. Visitors to the museum have the chance to watch a spectacular star show in an immersive, 4K, digital planetarium. For the thrill-seekers of the family, Cedar Park is home to Texas’s Longest Zip Line, which is over 2,000 feet. Lake Travis Zipline Adventures offers five zip lines where you can enjoy amazing views of canyons, bodies of water, and Texas hill country. Brushy Creek Lake Park is just one of the many parks in Cedar Park that offers free and fun activities for children. The park offers a splash pad, playground, sand volleyball court, and several pavilions available for parties and events. Austin is the state capital of Texas and is known for its booming live-music scene centered around country, blues, and rock. 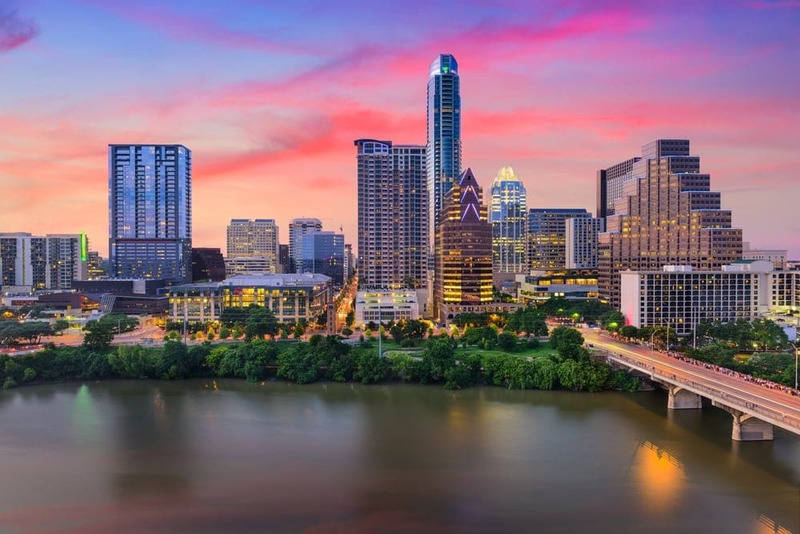 Not surprisingly, Austin is nicknamed the “Live Music Capital of the World.” It is also home to a number of headquarters and regional offices of Fortune 500 companies like Amazon.com, Apple Inc., Cisco, and eBay. Austin also has endless outdoors family-friendly outdoor activities, including the giant year-round 70-degree spring-fed Barton Springs Pool. For even more outdoor fun, Rock About Climbing Adventures offers a variety of climbing courses and kids camps. Live Love Paddle gives Austinites the opportunity to explore Lady Bird Lake on kayaks, canoes, and paddle boards. Carpe Diem Private Preschool – Austin is a unique preschool that aims to develop confident children who genuinely enjoy learning. Our curriculum emphasizes experiential learning where children learn to ask “why” and discover answers on their own, improving their analytical skills. Teachers at Carpe Diem create a hands-on, individualized curriculum for each child based on their strengths and weaknesses. Character development is also extremely important, with lessons focused on the importance of integrity, fairness, and honesty. Accredited by the National Association for the Education of Young Children (NAEYC), Carpe Diem exceeds state-mandated guidelines for education. Our classrooms are led by at least one degreed teacher, and all of our staff members are required to have first aid and CPR certification. Classrooms are full of developmentally appropriate activities, and are designed so that these materials are accessible to children. We have a spacious indoor gym and three outdoor playgrounds so our students can remain active and healthy. Additionally, we have a computer lab and a large library for students, filled with popular children’s stories. Downtown Austin is about a 30-minute drive from Carpe Diem Private Preschool – Austin. To get to Downtown Austin, get on Route 183A A from E Whitestone Boulevard and head south, passing Lakeline Mall and Austin Aquarium. Then use the right lane to take Loop 1/Mopac Boulevard exit and continue south on the Mopac Expressway until you pass the Old West Austin Historic Disrtict. Finally, take the exit toward Enfield Road and when Enfield Road turns slightly left and becomes W 15th Street you will be in the heart of Downtown Austin when you see the towering dome of the Texas State Capitol building.